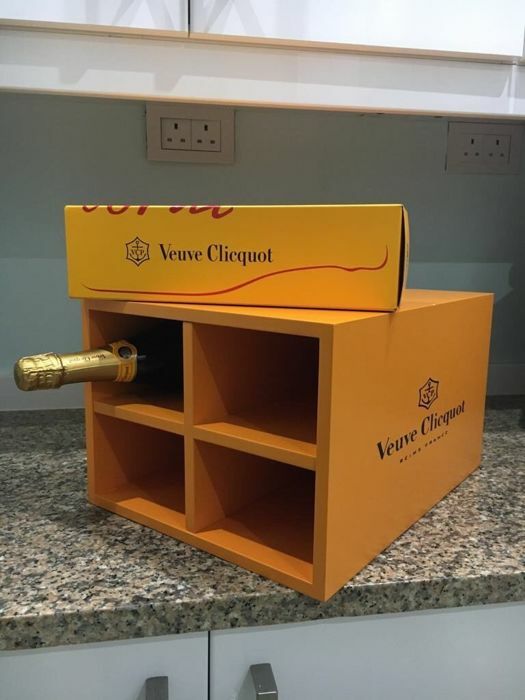 This is an elegant and stylish Champagne storage rack. 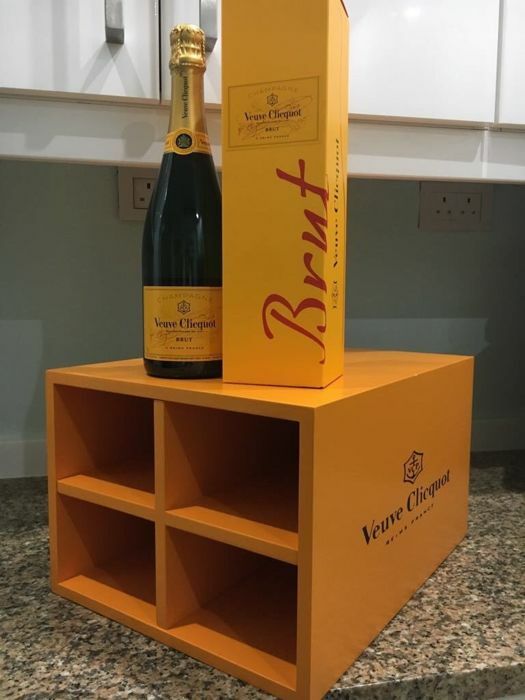 This storage rack will hold up to four 75 cl Veuve Clicquot champagne bottles in either the boxes or just as bottles. 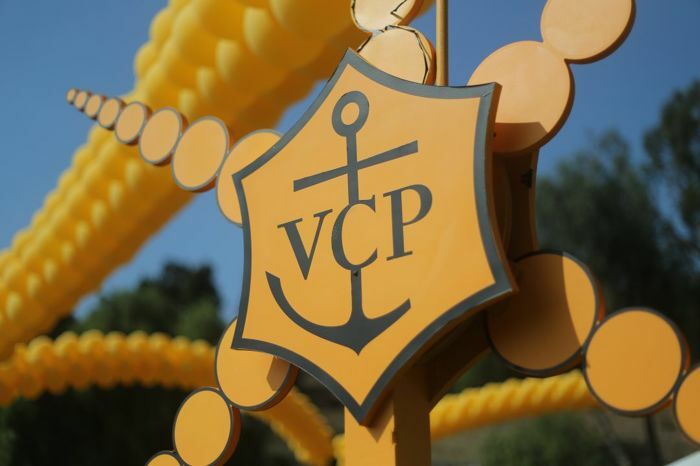 This rack is a very rare Veuve Clicquot item from a promotional exhibition display. 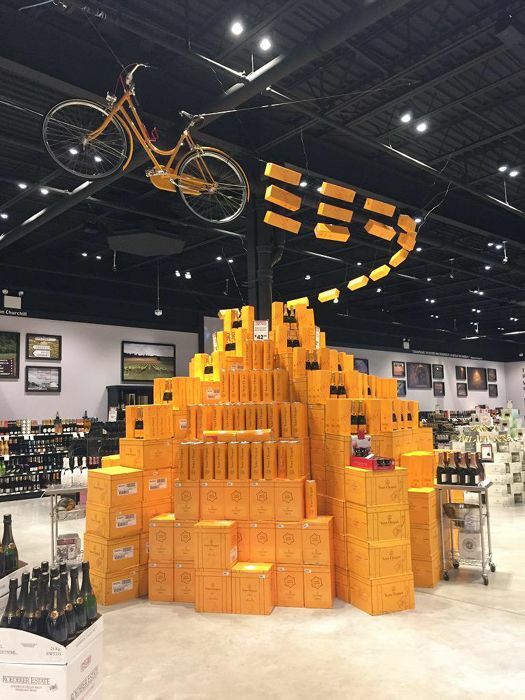 It bears the veuve cliquot logo on the side's of the rack and four spaces for champagne bottles. 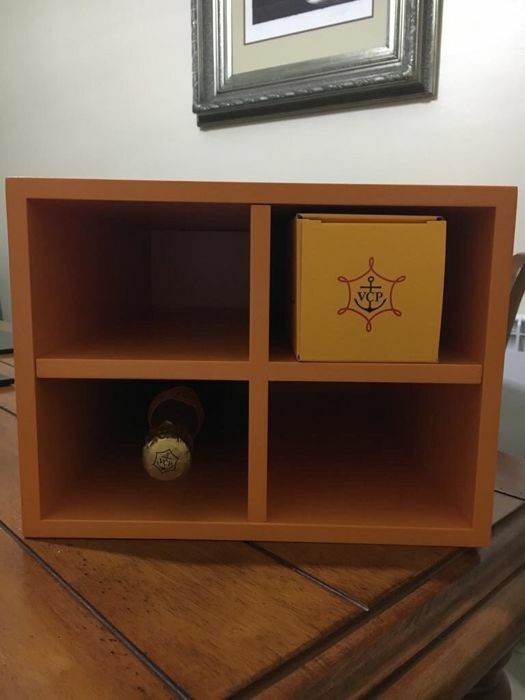 Dimensions are: 40d x 23 h x 31w cm. 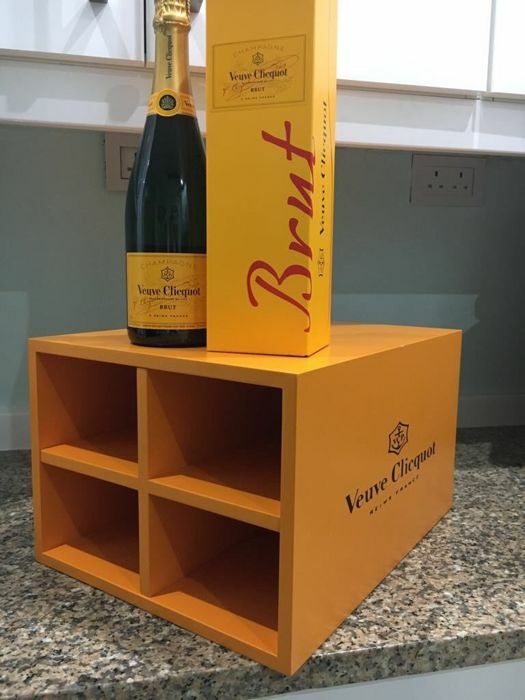 Finished in the orange colour that is famous the world over, get a chance to own this super rare champagne racks before its gone! In Excellent Condition / As New. 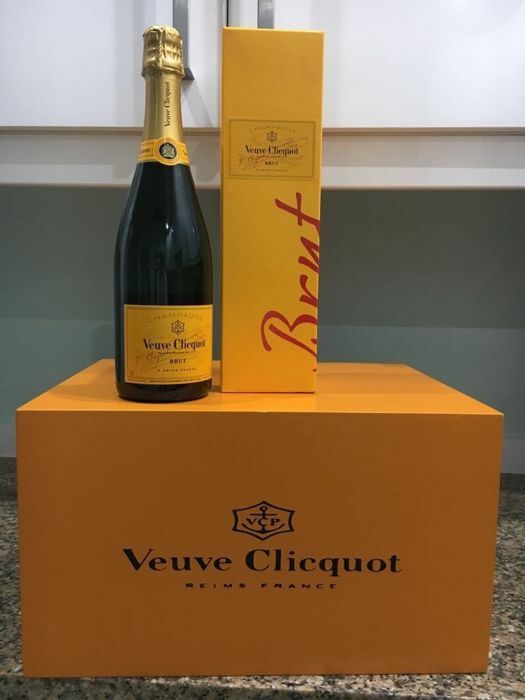 A wonderful item for the home, bar or as a collectors piece. The rack will be carefully bubble wrapped and boxed and sent via Insured DHL courier - Worldwide.